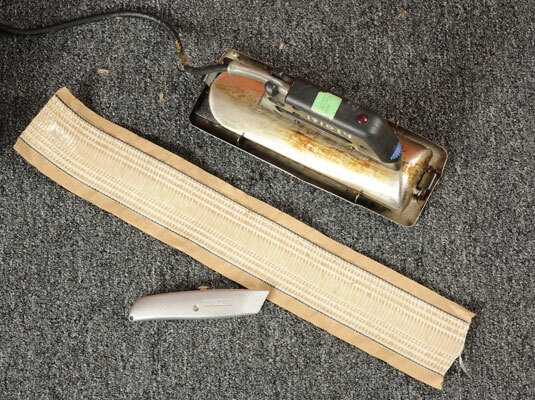 Gather your tools: Heat-activated carpet tape, seam iron, utility knife. 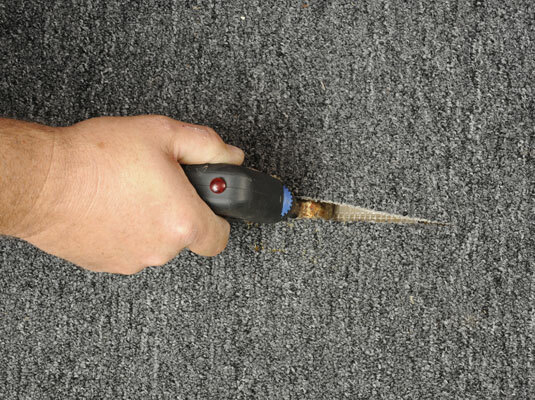 Heat-activated carpet tape and seam irons are available at most rental stores. Plug in the seam iron so that it can heat up. 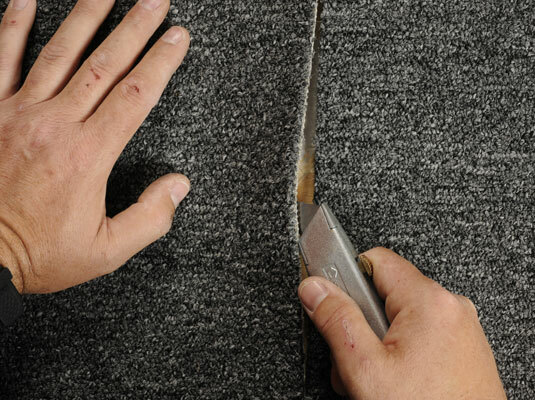 Use the utility knife to lift the edges of the seam or rip. 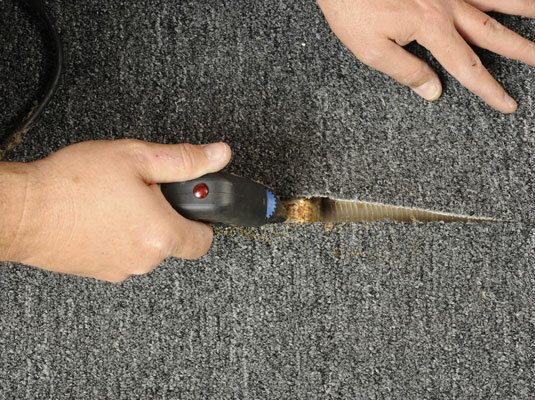 If the rip is small enough you might need to lengthen it with the utility knife. 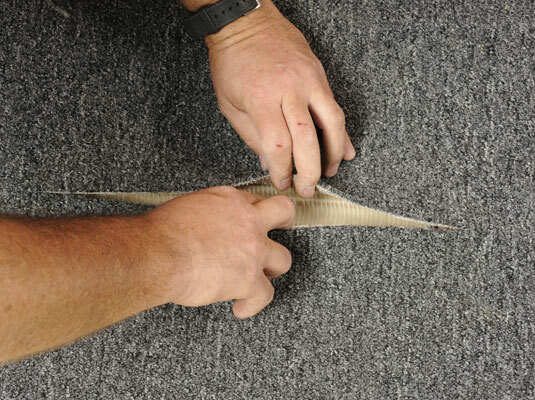 Remove the old carpet tape from under both sides of the seam or rip. Use the utility knife if you need to cut the old tape at the end of the seam. Cut a length of heat-activated tape. You want a strip long enough to fill the entire lifted edge. 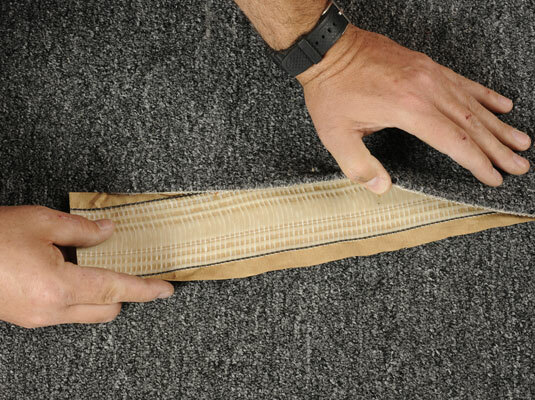 Lay the heat-activated tape into the seam, shoving it under both edges of the seam. Fasten both seam edges firmly to the tape. Slide the seam iron into the seam to heat the first section of tape. Position the seam iron at the bottom edge of the seam to heat up the tape. Move the iron to the next section and press the edges of the seam down. After 30 seconds, move the iron up about 8 inches. 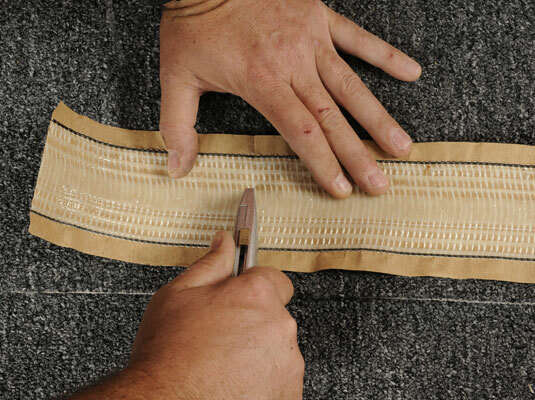 Immediately press the edges of the seam into the heated tape. Continue to the end of the seam and remove the iron. 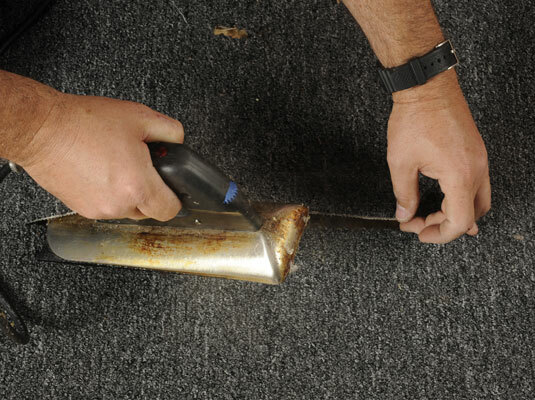 Remove the iron after heating the length of the seam. 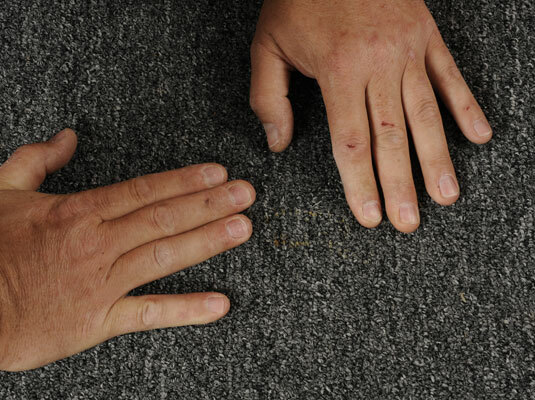 Be sure to place it on the protective base so that you don’t burn the carpet. Press down firmly on the seam edges. Make sure the edges stick firmly to the tape.